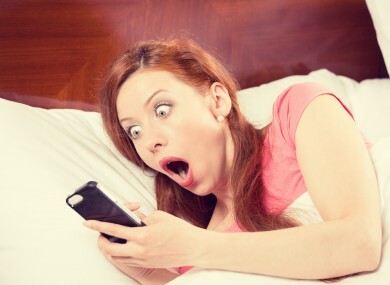 'To turn off this alarm, act surprised'. This week features train times, dozing off to podcasts and expressions for alarms. - All photos tell a story of some kind. We may upload so many but how often do you take the time to tell the story behind one or a few of them? - KnowMe allows you to join photos and videos together and turn them into a mini-story. It’s a bit like Vine but with more scope for creativity. - Once you throw together some video and images, you can add a voiceover explaining what’s happening, a different story or just make stuff up about it. Anything you want really. - If you want to, you can also add music to it. Either use the preloaded music on the app or any saved music on your phone. You can share it publicly or privately, and it is also a mini-social network too where you can view stories from those you follow. - If you want to make the story behind a recent trip, event or moment a little more creative, this is a fun way of going about it. - Next Train Ireland is an updated version of Next DART, one of the earliest Irish-made Android apps back in 2009, and this one gives it a fresh lick of paint. - At its core, it will tell you the times for any trains in all stations, and breaks it down to price, travel time, and intermediate stops. - If you need to check departure or arrivals times for a particular station, you can do that too as there’s a real-time noticeboard. - There’s also Android Wear support should you happen to own a smartwatch running it. - If you take the train regularly, this may come in handy. - Do you listen to podcasts regularly? How about at night before you go to sleep? If you answered yes to both, you might like this. - If you forget to turn your podcasts off as you fall asleep, something like SnoozeCast will ensure you get the best of both worlds. - Simply choose your podcast (taken from the main Podcast app) or audiobook, and listen to it for five minutes while you doze off, the final minute it gets a little quieter so it eases you in. There are some audiobooks saved on it as well, but it’s more useful for podcasts. - If you’re still awake and you want to listen a little more, you can give your phone a small knock to keep it going. The free version only gets you so far so if you want to customise it, you’ll need to pay. - For those who like to end the day listening to their favourite podcasts. - We covered quite a few different alarm clock apps with unusual features earlier this month so we’re adding another one to the list. - This one comes from Microsoft Garage, the experimental app section of the company, and requires you to turn off your alarm by playing a game. - That game is mimic which requires you to complete one of three games: match the facial expression, capture the colour and complete the tongue twister (you don’t have to have all three activated mind if one is too hard). - It gives you a practice run first so you’re not going to be caught out. If you don’t complete it, the alarm will start ringing again so you may want to practice first. - If you’ve tried everything else to get up in the morning without success, maybe acting out emotions might do the trick. - Those of you who played the likes of Dots or Threes may like this new puzzler that’s all about squares. - TwoFold’s premise is matching up same coloured squares that are joined together without crossing your path. The challenge comes from completing ‘requests’ which is the number of moves you can take. - The challenge is balancing long combos with short victories. If you have too many squares of the same colour, you might not be able to complete an unbroken line and before you know it, it’s game over. - You can move squares around, but you have a limited number each time. Make too many moves and you start losing lives, and you only have four to play with. - For those looking for their next puzzler, this is a worthy addition.